The most simple and inexpensive way to register an EU trademark. 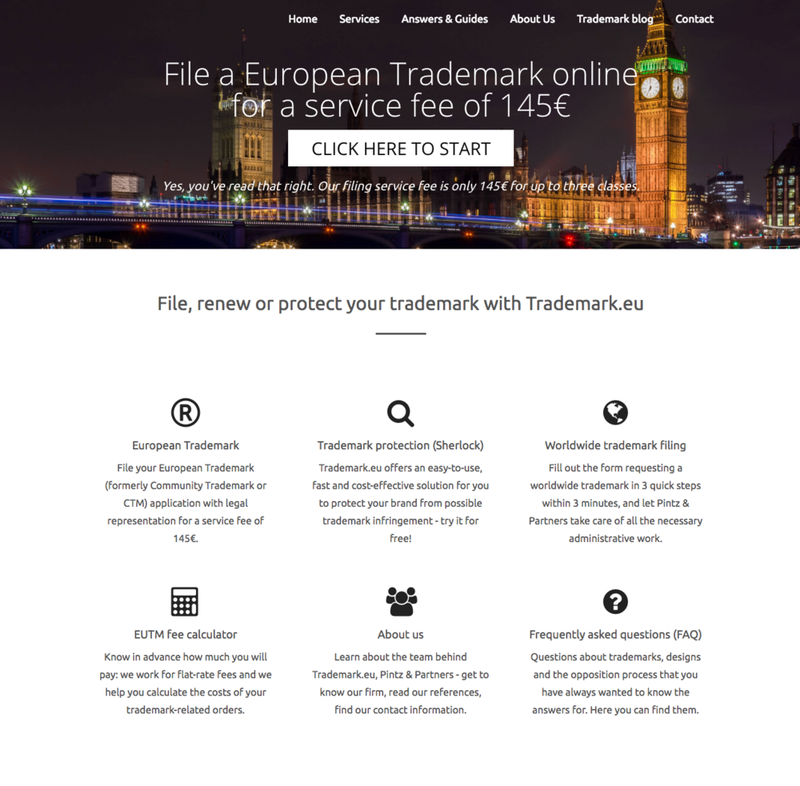 File your European Trademark application with legal representation for a service fee of 145€. File your European Trademark (formerly known as Community Trademark or CTM) application or renew your existing EUTM at the EUIPO with legal representation of Pintz & Partners Patent and Trademark Attorneys. Fill out our forms and we will take care of all the formalities required to register your European Trademark. We provide two options for our users: professional attorneys and companies can place different EUTM orders. Those, who have an extensive knowledge of trademarks can set the details of their EUTM order themselves, while those who are less familiar with this legal area can place a simplified order for a European Trademark. In the latter case, we will take extra care of any further steps. Our online filing system makes it easier both for you and for us to handle the trademark filing process, allowing us to work for extremely competitive flat-rate fees. File a European trademark for 145 € with us!